A man from Phoenix named Jesus Llovera has accused action star and martial arts expert Steven Seagal together with Maricopa County Sheriff officers for allegedly killing his dog during a raid for Seagal’s reality TV show. Mr. Llovera has filed a US$ 25,000 dollars compensation and a written apology for his kids against Seagal and the sheriff’s office for humiliation, emotional distress and property damage. His attorney could not immediately be reached for comment. Mr. Llovera claims that during the raid deputies from the Maricopa County sheriff’s office shot and killed his 11-month-old pet. But officers have denied killing the dog. The sheriff’s office says in a news release the allegation is without merit. 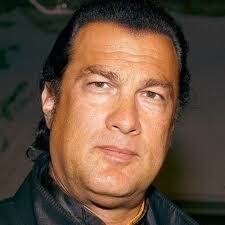 Seagal says he’s outraged. The raid in March was part of an episode of Seagal’s reality TV show “Steven Seagal: Lawman” in which Seagal appears as a deputy sherrif.